While the endangered state of the southern resident killer whales received a lot of attention in 2018, the humpback whale population is seeing a resurgence. While the endangered state of southern resident killer whales received plenty of attention in 2018, the humpback whale population has seen a resurgence. According to numbers collected for a year-end report by the Marine Education and Research Society — which conducts research into marine life — the humpback whale population off northeastern Vancouver Island, reached 86 in 2018, up from seven in 2004. "We are looking definitely at a huge increase," society researcher Jackie Hildering told On the Island guest host Khalil Acktar. 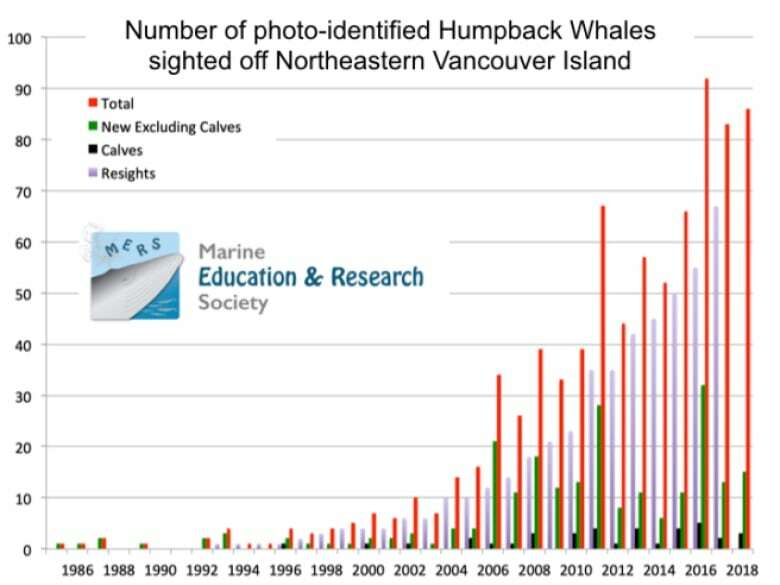 While it is known anecdotally that humpback sightings were rare around Campbell River in the early 2000s, no one has documented an exact number of individuals until now, according to Hildering. Dr. Lance Barrett-Lennard, director of the marine mammal research program at Ocean Wise, says that the distribution of humpback whales along the B.C. coast can be patchy due to their constant movement and migration. He says the numbers collected by the Marine Education and Research Society are accurate. "What we see from year to year is that these hot spots come and go in terms of abundance of [humpbacks]. They fluctuate a lot," said Barrett-Lennard. 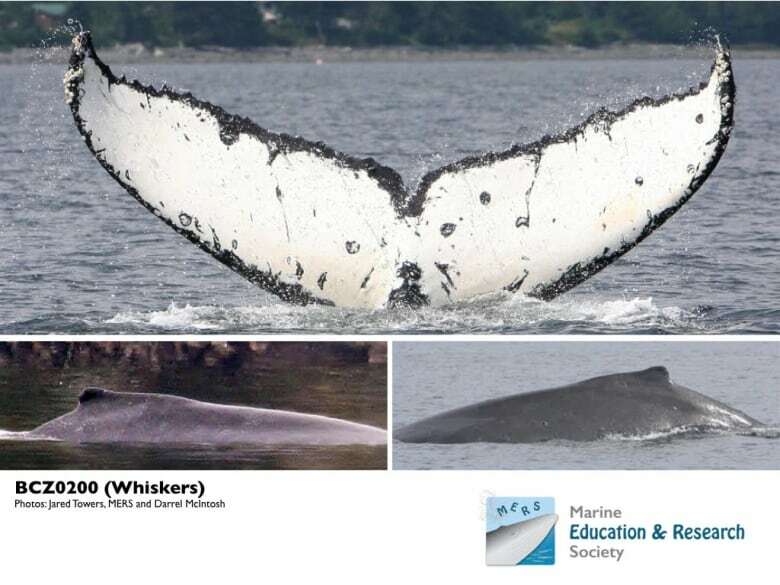 The Marine Education and Research Society has three staff members who collect data through surveying humpbacks. They also enlist boaters who send pictures, locations and times of where humpbacks are spotted, according to Hildering. 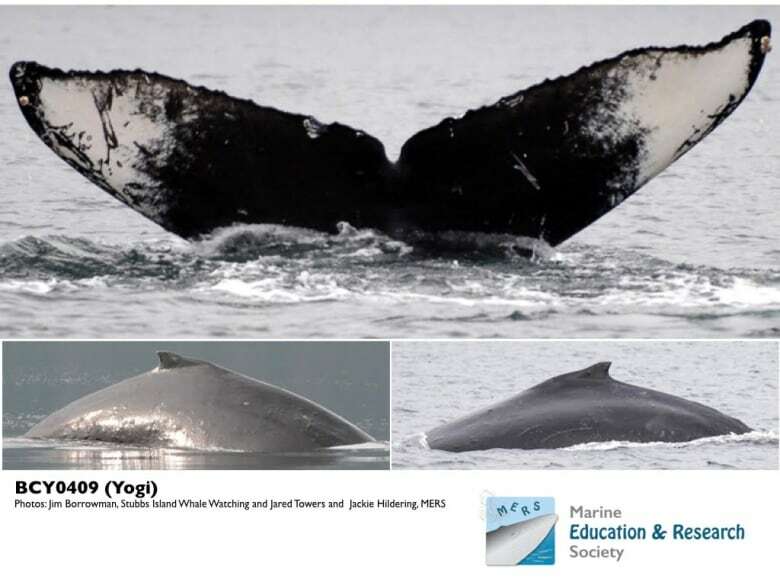 The researchers identify the whales by the undersides of their tails and their dorsal fins, according to Hildering. She says photo identification is a reliable alternative to tagging, which she considers invasive. "We as researchers recognize whales as distinctly as we recognize other human faces," said Hildering. Meanwhile, the southern resident orca population is down to 74, according to author and University of Victoria professor Jason Colby. In 1999, there were nearly 100 documented killer whales. Orcas feed on chinook salmon, but their numbers are down in B.C. "It's hard to come to any other conclusion than the way we've developed the region, and the falling chinook salmon runs on both sides of the border are starving them," Colby told On the Coast guest host Margaret Gallagher. Humpbacks are found all around the world, but in the North Pacific ocean they can be found in the waters off Alaska, coastal B.C. and Hawaii. Hildering says that while the population increase is positive news, boaters need to be extra attentive on the water due to the differences between humpbacks and other whales like orcas. Orcas usually travel in one direction along the surface of the water, making it easier for boaters to detect their whereabouts. Humpback whales travel below the surface and can switch directions often, says Hildering. They are often unaware of boats. "They're moving in really unpredictable patterns, they can suddenly become acrobatic, and they're big," said Hildering. 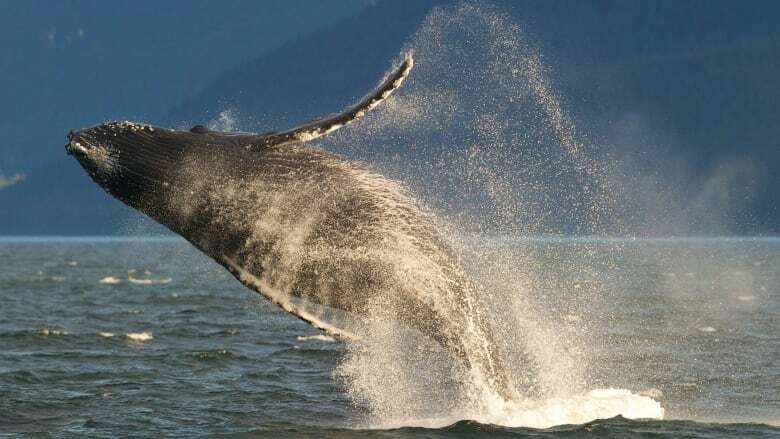 Fifty per cent of humpbacks documented in B.C. waters have scarring from entanglements with boats, according to Hildering. With files from On the Island and On the Coast.